We may earn money or products from the companies mentioned on this site. Today I’m sharing with you a complete starters list of Instant Pot Accessories that every IP owner should have for their Instant Pot. However, you don’t have to have everything on this list but it’s a great start to help with your IP cooking. Let’s get started first with the Instant Pot itself. If you have been thinking about getting an Instant Pot I highly recommend the Instant Pot DUO. I purchased a 6qt for our family of 5, this is the one thing I would have done differently. Instead of the 6qt, I would have bought the 8qt. But I have made the 6qt work for our family of 5. What I like about the DUO is that I have 7 multi-useable functions to use. For me the pressure cooker, sauté, and warmer has been what I use the most. As I explore more recipes these other functions will come in quite handy. If you get on Amazon and look up Instant Pot Accessories you will come across many amazing gadgets to go with your IP. Here are some of the top choices that I think are useful. Instant Pot Tempered Glass Lid. 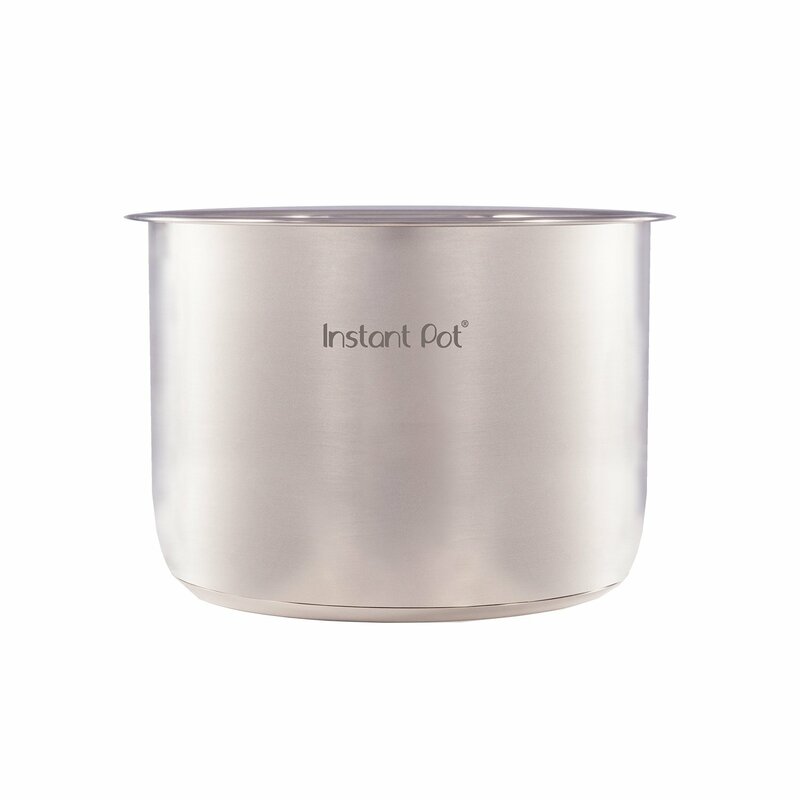 This is perfect for when you use your Instant Pot as a slow cooker or when you make popcorn. It’s made of tempered glass with a steam vent and stainless steel rim and handle. What is also great about this lid is it is dishwasher and oven safe. 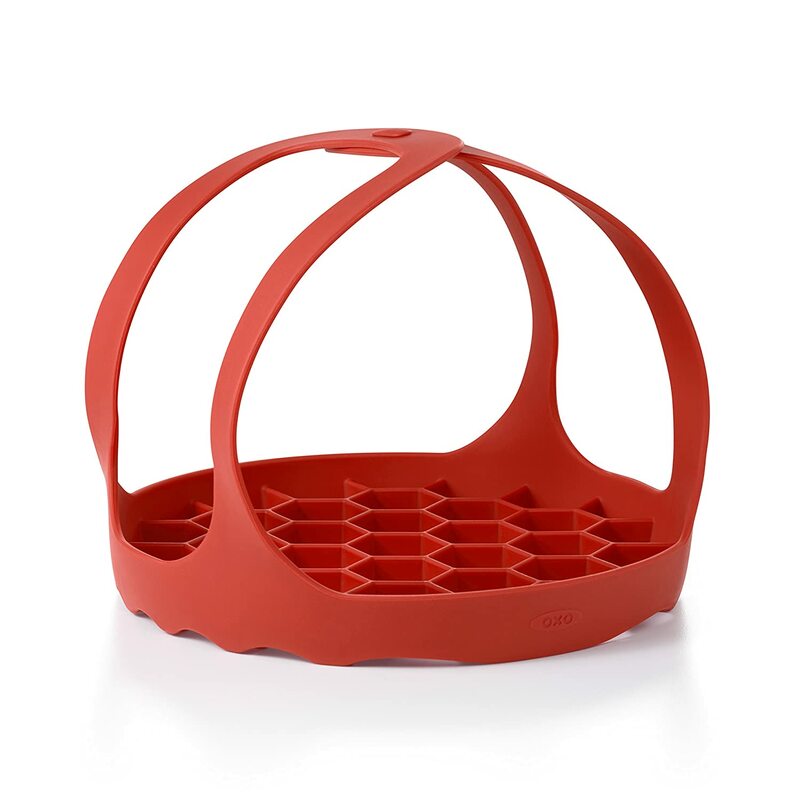 The very first accessory I bought for my IP was this egg rack, I love it. It came in quite handy over the holidays with all the hard-boiled eggs I made for deviled eggs. Some of the great functions of this stackable egg steamer are that it can hold up to 14 eggs or less. It’s dishwasher safe and since it stacks together storage is easy. I place the smaller trivet under the larger and store in a basket that holds all my Instant Pot Accessories. I highly recommend this stackable egg steamer if you make a lot of eggs. 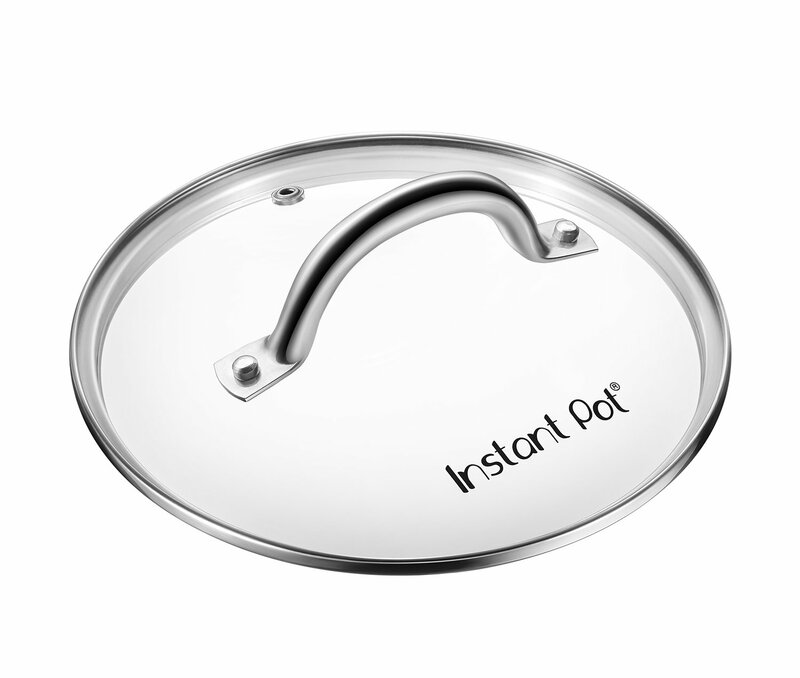 You can also use as a steam plate inside the Instant Pot for steaming other foods, you can use it as a cooling rack and a pot stand for food serving. This bakeware sling is great for when you are using dishes in your Instant Pot. Place the sling around your dish interlock the handles and place the lid on your Instant Pot. The sling helps to pull your dish out of the Instant Pot easier. This bakeware sling fits 6qt or 8qt Instant Pots. 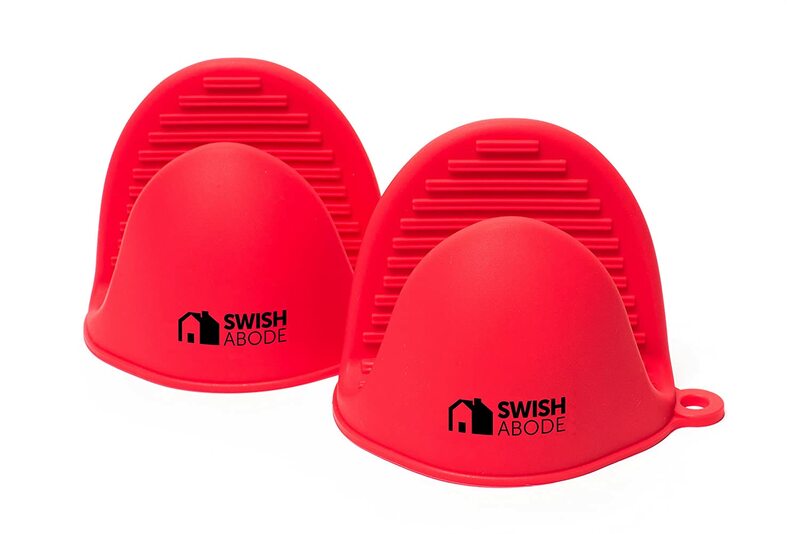 Because it is silicone it is high-heat resistant and dishwasher safe. I use mine all the time and really like how easy it is to take a dish out. 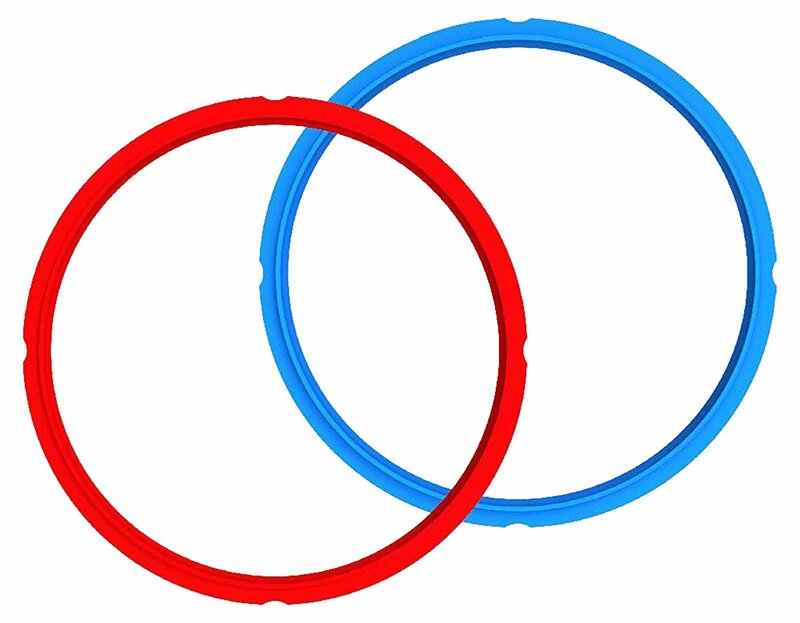 Because the sealing rings are made of silicone they will hold smells and flavors. If you plan to make savory dishes and sweet dishes in your Instant Pot than it’s best to have multiple sealing rings. The sealing rings will pick up flavors. I have read that it is recommended to replace the sealing rings every 18 to 24 months. Using third-party unapproved sealing rings is not recommended. They may cause damage to your IP and void the warranty. Having an extra inner cooking pot makes it easy and convenient for preparing multiple dishes. Prepare a couple of meals ahead of time for those busy work nights, place the inner pot in the refrigerator with a silicone lid. I have read that these mitts are the ultimate Instant Pot accessories: and I would agree. I love mine. They are rated to withstand high and are FDA approved. Not only will these mitts help make it easier to grip hold of the inner pot of your IP. But you can use them for grabbing many hot items in the kitchen or even from the grill. Welcome to My Creative Manner, I’m so happy to have you here! My name is Jennifer but my friends and family call me Jen. I’m from Michigan where my high school sweetheart and I are raising our three wonderful kids. Life can get busy but our goal is family first, so meals together are a must in our home. I have always had a love of cooking and baking.